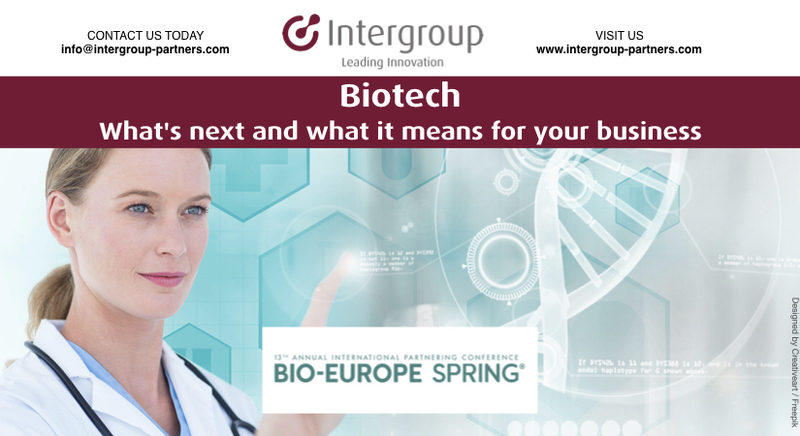 Our team is gearing up to talk future-oriented technologies, new ideas and smart concepts for biotech at the thirteenth annual BIO-Europe Spring international partnering conference in Vienna from 25– 27 March 2019. The event is expected to draw over 2,500 pharma and biotech executives seeking valuable partnerships and investment. We specialise in growth and provide acceleration services for revenue generation, business development and M&A scouting, acting as your partner and an extension of your operational team for these growth objectives. Johan Olsson, Director of Healthcare and Lifestyle would be delighted to schedule a call with you to learn more about how Intergroup Partners can assist you to achieve your sales targets for 2019.